The Busy Bee Productivity Coaching, LLC. Hey there! I'm Danise, the owner of the Busy Bee. I am an educator, life coach and speaker. I offer one to one life coaching programs for women, and I’m the creator of the Productivity Planner! I created this business to empower women, everywhere. I want to help you take personal responsibility for WHO you are and WHY you're in this world. My goal is to partner with you on your unique personal growth and development journey, and hold you accountable as you reach for your dreams. 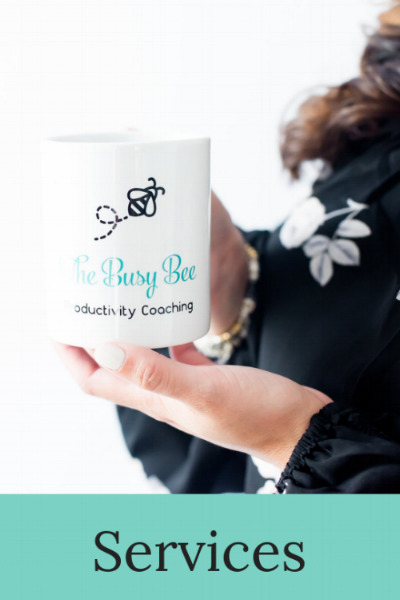 The Busy Bee offers private and group coaching packages that focus on time management, goal setting, organization, mindset changes, and eliminating negative self talk. I also work with female entrepreneurs who want to take their business to the next level, by giving you specific tools and strategies to be successful! As your coach, I will serve as an accountability partner and help you take action, and achieve the things you never thought possible. The tips Danise provided helped me to create meaningful change in my life (especially with my career, which was my primary reason for seeking guidance), but also helped me reflect on myself and bad habits that have been preventing me from pursuing my goals. Join the Busy Bee Community and get access to free productivity resources!